You recently auditioned for a play, film, or other project. You are talented, energetic, and hopeful. However, you didn't get cast and you want to know why. Although it will always be difficult to overcome the feeling of disappointment you have when you don't get the role you wanted, here's a little insight to help you understand the reasoning behind the decisions a casting director makes. First, let's take a moment and look at casting from a director's point of view. A lot of money and time (over 150 man hours at our recent auditions) are invested into auditions alone. We take casting very seriously, and each and every decision is deliberate. We don't rank actors and start by giving the best the leads and work down to the small roles or nothing. If it were that easy, anyone could cast a show. What constitutes the "best," anyway? Casting a show is like assembling a complicated puzzle that has infinite solutions, and each actor is a puzzle piece: Every "puzzle piece" is beautiful, talented, and amazing when standing alone. However, a piece needs to fit somewhere to be included. Some puzzle pieces can fit in a variety of locations, others only fit in one or two, and some just don't quite fit at all. There are puzzle pieces that fit well with another piece, but that other piece doesn't fit anywhere. It takes a lot of time, focus, imagination, and flexibility for us to assemble a cast list as we try to fit the actors together. Hours of consideration go into each and every role, including the supporting and ensemble roles. However, there are some actors that simply don't fit anywhere, no matter how hard we try. You simply aren't right for the role. Many of the factors are ones that you can't change: Too tall, too short, too young, too old... Perhaps you need to play a sibling, father, or daughter of the lead and you don't look alike. On the other hand, you may look too much like another actor, and we need contrast. Too many schedule conflicts can also be an issue, since you need to be available for as many rehearsals as possible. You have areas you need to improve. Low vocal projection or poor pronunciation could have hindered your audition. Or perhaps your shyness inhibited you. When you read for a role, show us what you're capable of and don't leave anything to our imagination, because we're only going to cast someone who shows us they're ready to play the role NOW. Not someone we can "help get there." That's what classes are for. We regularly see opening-night-worthy performances IN THE AUDITION ROOM. If you received the sides in advance, this shows that the actor took the time to prepare and work hard for the role. If this is a cold reading, this shows that you will make character choices and pick up new ideas easily. You didn't bring a headshot and resume. If you don't bring these, we may easily forget you after we've seen 100+ actors. Or perhaps they weren't formatted or assembled correctly, so they got lost in the shuffle. Bringing a 8x10 photo and resume of equal size, attached back-to-back with a staple in each corner will help make you memorable as a well-prepared, serious actor. In addition, always tell the truth on your resume. If you list "British accent" and you can't do it when we ask you to show us in the audition room, then you've lost our trust and we can't believe anything else in your resume. You didn't accept direction. Sometimes we give you direction during your audition. This is a good sign! There's something we like about you, but we want to see you read the scene a different way. If you proceed to read the scene the same way, you've flunked the test. You didn't show us what we needed to see from you. Even worse, you've shown us that you can't accept direction, which is a vital part of rehearsal. We are looking for flexible, versatile actors who are willing to try new ideas and can follow direction. We don't know you. Casting you is a business and financial decision (and risk) just as much as an artistic one. If we've worked with you before, then we know your work ethic, dependability, sense of commitment, and ability to get along well with others. We've seen your skills in action. We know what you're like under the pressure of tech week. Every director has horror stories of taking a chance with a new actor and having it blow up in their faces. Why take that risk when we have a tried and true option who is guaranteed to deliver? Do we still take risks? Of course we do! Nearly half the actors in our recent production, Charlie and the Chocolate Factory, were new to us, even some principal roles. However, being an unknown is still a hurdle which can be overcome by working with the directors in other capacities, such as an ensemble role, backstage/crew position, or in class, so we can gain a sense of your work ethic, communication skills, personality, etc. to establish a working relationship. Your reputation. On the flip side, maybe we do know you, know another director who has worked with you, or looked you up on Facebook/Instagram/Twitter (yes, we do that!). We take our past experience with you into account at auditions. If you've taken a class with us, we'll remember if you were open to direction and you attended every class on time with your materials well-prepared. If you were in our last show, we'll remember if you memorized your lines on time and were compatible with our directing style. If you're a child, we take your behavior (and your parents!) into consideration. If you communicated with us prior to auditions, we'll remember your attitude. You are perceived as unreliable. You were late to auditions, which is your only opportunity to show us you are capable of being on time to rehearsals. You didn't have your sides prepared or forgot your headshot and resume. Perhaps we offered you a role in another one of our shows and you turned it down or dropped out. We can't afford to waste our time and consideration on someone we can't depend on to do the job. You don't have enough experience/training. You gave a phenomenal reading of the lead role, then we look at your resume to see you have little or no training/credits. How do we know you're prepared to handle this large of a role? A lead role requires extensive stamina, line memorization, character work, and focus. We need to know- without a doubt- that you can handle the pressure. Oftentimes, actors with that type of raw talent impress us and we want to develop it, so we cast them in an ensemble or even secondary role if we feel confident enough. That casting decision and the whole process of that production is like one big callback audition for our NEXT show. Remember when we said casting is complicated? You asked for a second chance, special consideration, or a favor. At auditions (and in the preceding weeks), we are running on a very tight schedule and we know exactly what we need to see. 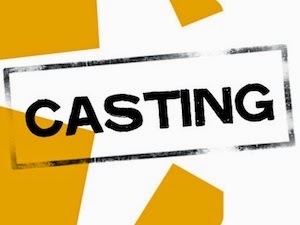 Let us do what we need to do in order to assemble the best cast possible, rather than worrying about finding you a stapler, letting you read again or for a different role, printing forms you should have printed at home, or rescheduling your audition for the upteenth time. You didn't make a connection. If we ask you a conversational question, don't just give a one word answer. Engage us! Smile! Be enthusiastic! We are looking to "hire" a member of a family that will be closely working together over the next few weeks or even months. Yes, we work hard, and we want to see your dedication. But we're going to work with YOU as a person more than we're going to work the character you play, so we want the experience to be enjoyable. We want to know that we're going to get along with you. If you still struggle to understand why you weren't cast, then just audition again for the next show. No matter how perfect your audition was, there is no possible way to fit 150 actors into 40 characters. We could have 150 award-winning actors audition for us, and over 100 of them would not be cast. This blog post was written by Encore! Tulsa founders and directors, Mindy Barker and Joshua Branson Barker, who have each cast 80+ stage productions and appeared in 90+ stage productions, films, television shows, and commercials over the past 18 years. Click here to learn more about Joshua and Mindy.